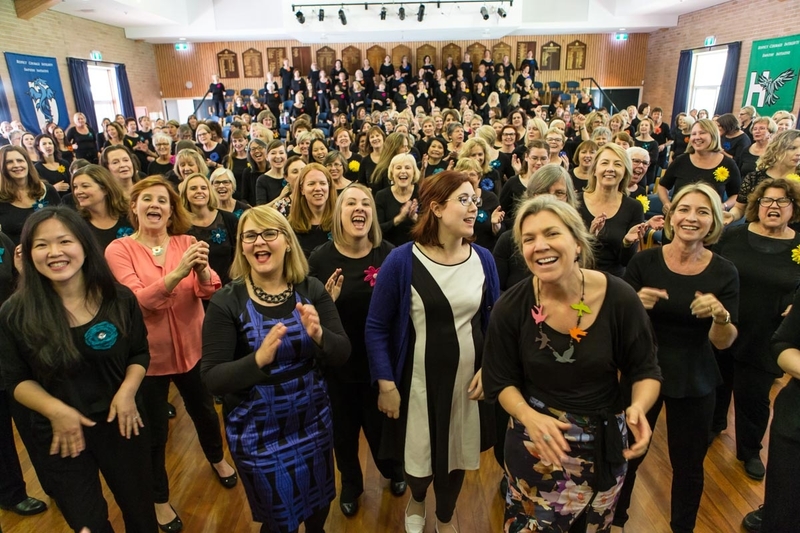 Hummingsong Choirs are a network of women’s a cappella choirs, with over 400 members situated in six different locations on Sydney’s Northern Beaches and North Shore. Anna Humberstone is the Founder and Artistic Director who works alongside three other passionate conductors. 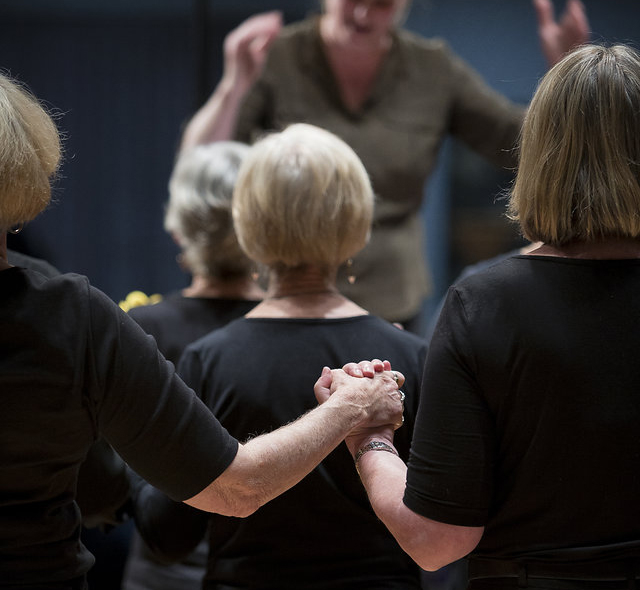 These choirs offer women a vibrant opportunity to sing for fun and nourish their souls. Non-audtioned and non-exclusive, these wonderful musical communities sing, laugh and grow together. We have a variety of performances throughout the year. These performances can be at local venues, festivals, care homes and once a year, all of our choirs come together to participate in our annual concert (see Upcoming Events for details on our 2019 performances). Hummingsong Choirs are committed to raising awareness and funds for women and children escaping domestic violence and it is through these events that we raise money for the charities that we support. In recent years we have raised close to $150,000 for local women’s refuges. We are passionate about supporting the prevention of domestic violence and those affected by it. Learn more about our fundraising here: Fundraising for Charity. All of our Hummingsong choirs, are community choirs and we never forget that word – community – is also the most important. We make the best music that we can, but always make sure that we are having fun and enjoying one another’s company more than anything else. Aside from singing being a great way to make friends and join a community, it’s also been scientifically proven to improve your health and well-being. Whilst many of our members have dabbled in music all their lives in some capacity, others have embraced singing for the first time by joining one of our choirs. Reading music is not necessary because music can be learned by ear. The choir is open to all adults and experiences. Our choirs are non-auditioned. We currently have over 400 keen singers across all of our choirs and numbers continuing to grow. The weekly sing has become the high point of the week for many members. Our amazing conductors are highly qualified music educators who are dynamic and passionate about Hummingsong. They bring years of experience and limitless energy to their choirs. Whatever kind of music you like, you’ll probably experience it in a Hummingsong Choir. Drawing from a wide range of styles, across the centuries, from rennaissance to soul and pop classics, through African spirituals to jazz standards. – there will be something for everyone. Much of Hummingsong repertoire has been specially arranged or commissioned for the choir by our team and talented adventurous choir members giving us some unique music to perform. Listen to a sample of our repertoire and see a list of existing repertoire by clicking here.